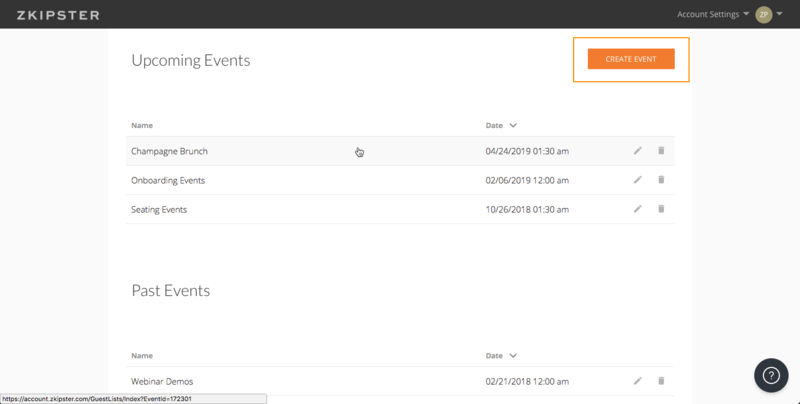 The main event dashboard is where you can see your past and upcoming events, create a new event and delete an event. You can access the dashboard at any time by clicking on the zkipster logo at the top left of the screen. 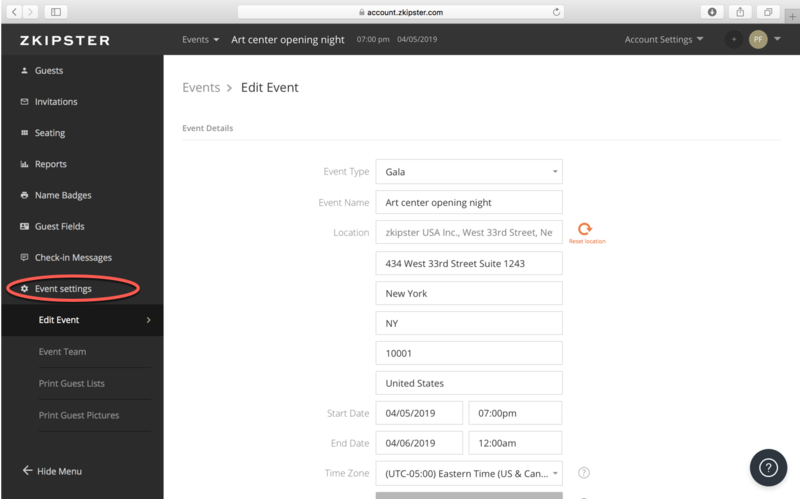 Please Note: Only Account Owners can create new events when using zkipster on a Pay-Per-Event basis. If you log in and do not see the option to "Create Event," you have been assigned a role by your Account Owner and will have to contact them to purchase and create a new event. 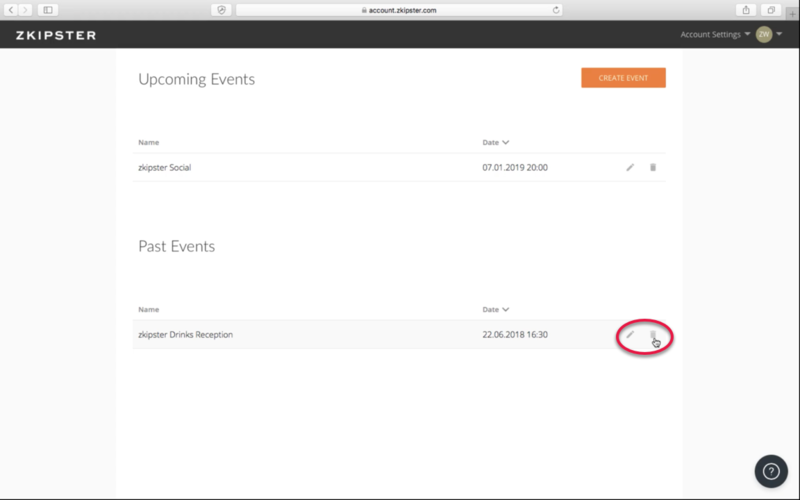 From the main event, dashboard click on Create Event. Navigate to the main event dashboard by clicking on the zkipster logo at the top left of the screen. Enter Location – Please Note: The location will autofill or type in manually below. Select Time Zone. Important to select the right time zone as this affects all event data during check-in. 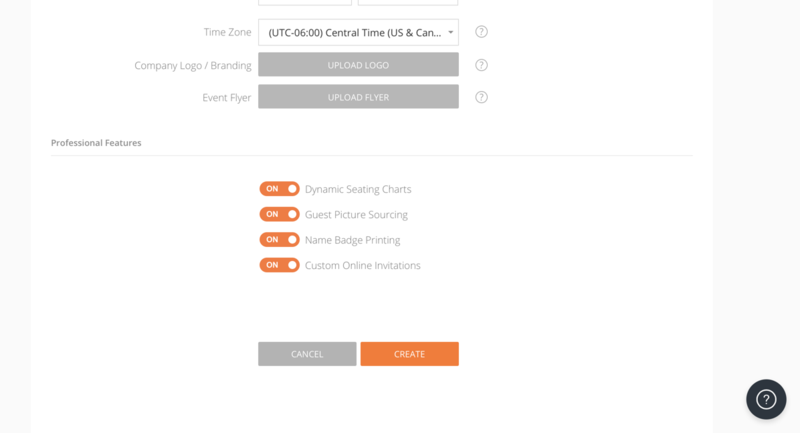 Professional single event and professional annual plan have access to zkipster's special features, like dynamic seating and custom online invitations. In this section, you can turn any of the special features On. To delete an event, click on the trash can icon on the right of the event. A warning message will show on your screen confirming you permanently want to delete your event all the data associated with it. Please note, you can not delete an event with Pay per event account. To edit the event, click on Even Settings from the left side menu and choose Edit Event. Here you can also add team members to the event and print guests' pictures. This article shows how to add team members to your event, and here you can learn more about the picture sourcing feature.